Program #NADR019. Recorded in Washington, D.C. on May 26, 2016. Sovereignty: preeminence of the people, self-rule. The framers of the Constitution, having lived under the tyranny of King George the Third were fully aware of the corrupting nature of absolute power. And the need for the citizenry to exercise independence and control. But under the contemporary doctrine of neoliberalism there has been a steady erosion of sovereignty, a transfer from popular control to powerful and largely unaccountable transnational institutions. So-called free trade agreements, negotiated behind closed doors, have fast track provisions and special panels and tribunals that do an end run around sovereignty. Most of our putative representatives, wooed by corporations, do their bidding. The people are marginalized and rendered to the sidelines. Well, not entirely. You can turn out and vote then you can go home and watch a Law & Order rerun or something truly profound like Keeping up with the Kardashians. 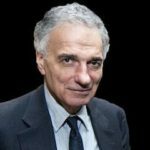 What a wonderful interview and what a wonderful high class resource Mr Nader is. Sycophant Hillary comes from a long history of subterfuge and dishonesty. Trump, though crass in his demeanor, seems ultimately the more honest as well as the most dangerous to the oligarchy. Luckily, those who really control the machinations of government and policy maybe a bit more level-headed, interested in preserving their own well-being. Ralph’s boundless energy and optimism is something our children need to be exposed to.